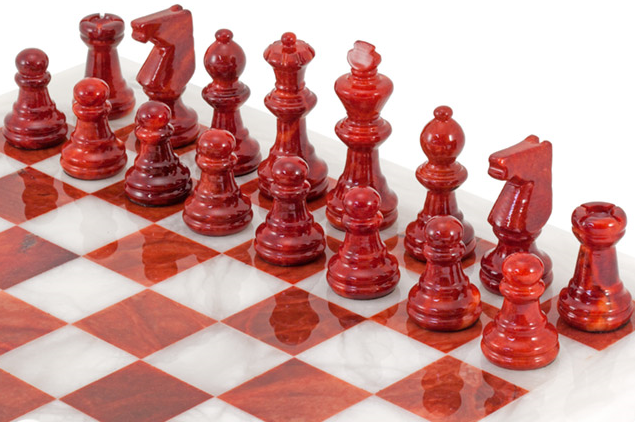 We will soon be introducing some super attractive Alabaster Chess Sets from Italy. These sets are uniformly polished to a high gloss finish. It is very common for vacationers to import marble chess sets or various types of stone chess sets – such as Onyx Chess Sets – from Mexico, the Caribbean or South America. 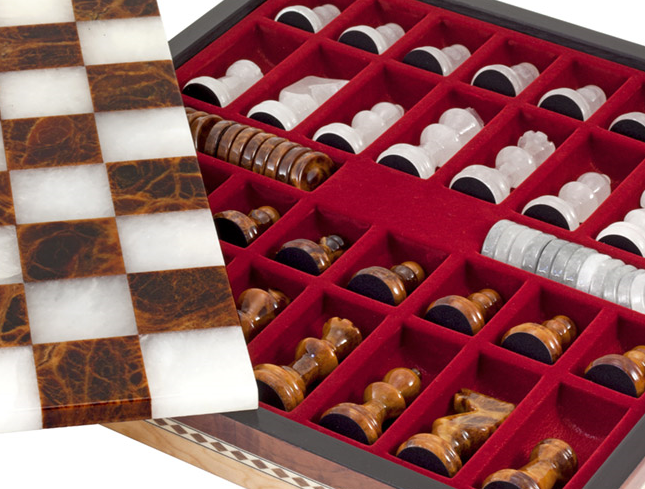 The vast majority of these sets do not meet the standards of quality expected by our customers. These Italian marble chess sets are in a class of their own. Assolutamente Bellissimo!